Your most trusted-trusted source for all-things Oklahoma City is back with its new weekly feature, TLO Weekend Radar, highlighting a few of the most promising weekend happenings in the metro. Yeah, Cirque du Soleil and Kevin Hart are in town this weekend. But we are more fired up about a couple of hyperlocal, beer- and booze-fueled fundraisers…and something that involves galleries, delicious food and free wine. This is the perfect time of year to gather your squad (via group text or actual phone calls, if you’re a sadist) and your cozy fall-weather attire for a meetup in Paseo. 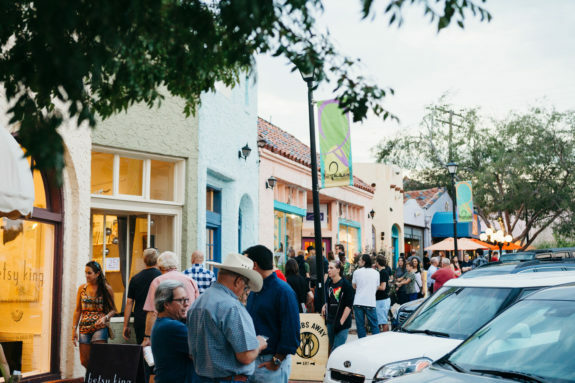 Over 80 artists and more than 25 businesses—all within walking distance (by even the laziest of Oklahoma standards)—stay open late on the first Friday of every month, to show you a good time. Did we mention that many galleries offer light refreshments (i.e. complimentary wine, crudités and cookies)? Get warmed up at OSO Paseo with a Smoking Mirror and a couple Nopales tacos. Then hit the gallery circuit, buy some cool local art and make sure you wind up at JRB Art at the Elms, where some people we know are showing their work. 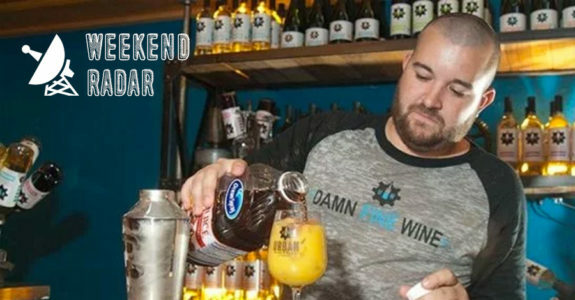 Saturday, Nov. 3rd | 7 – 11 p.m.
BAR WARS – Game On is your kind of thing…if your kind of thing is a night of cocktails, music, food and fierce competition—all for a good cause. 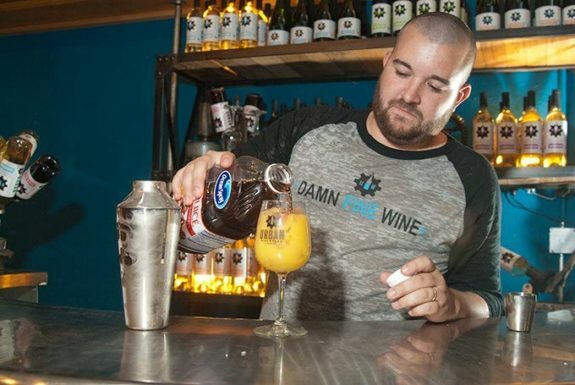 This popular benefit features 15-ish bartenders from local hot-spots competing to win top honors for Best Signature Cocktail and Best Flair Service. It’s like being on-set for a rowdy, nationally-televised reality show competition, only you recognize the faces and, between takes, you get to sip the wares, feast the fares and dance to DJ-spun music. Silent auction items and raffles give you ample opportunity to support Other Options, Inc., a local 501(c)(3) non-profit organization. 100% of the proceeds raised at BAR WARS will support their programs, which feed and otherwise give a lift to the people in our community who find themselves in particularly dire straits this time of year. Sunday, Nov. 4th | 7 – 10 p.m. 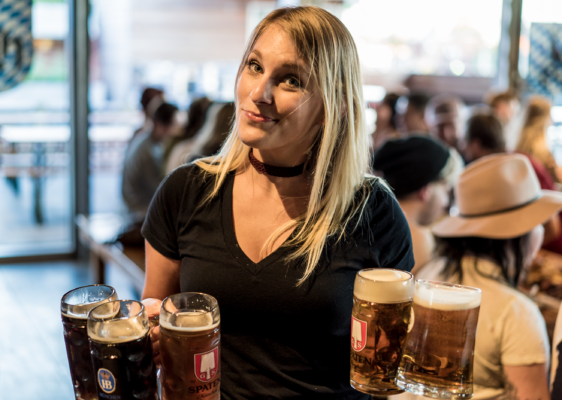 The good (and good-time) people at Fassler Hall are back for another year with their Beer & Beefsteak banquet, which sells-out every time. Beefsteak banquets originated as a working-class celebration in New York City during the 19th century. Fassler’s Oklahoma City twist on this epic banquet is a fundraiser (proceeds benefit Frontline Church’s Adopt-a-Family Program), and your reward for the good deed of buying a ticket is all-you-can-eat beef tenderloin, duck fat fries and plenty of Warsteiner beer. I don’t eat meat, but I can drink a lot of beer, so joke’s on them! I will drink my money’s worth and revel in the great beer, great karma and great live music of featured Play it Loud artist Mike Hosty. Only 100 tickets are offered each year for this event, so get yours now, to ensure a front-row seat at the annual bread fight. And don’t forget to take home your commemorative apron. Editor’s note: At the time of this post, there are still a handful of tickets available. But don’t mess around and wait another day (and definitely don’t blame us, if you do, when they’re sold out). Is that Paseo Walk voluntary? Asking for a friend.